Hello! I’d like to introduce you to Provincial Penguin! I’m delighted to have painted a penguin on the Maggie’s Penguin Parade. Number 64 on the trail map, next to the 5 penguin sculptures. 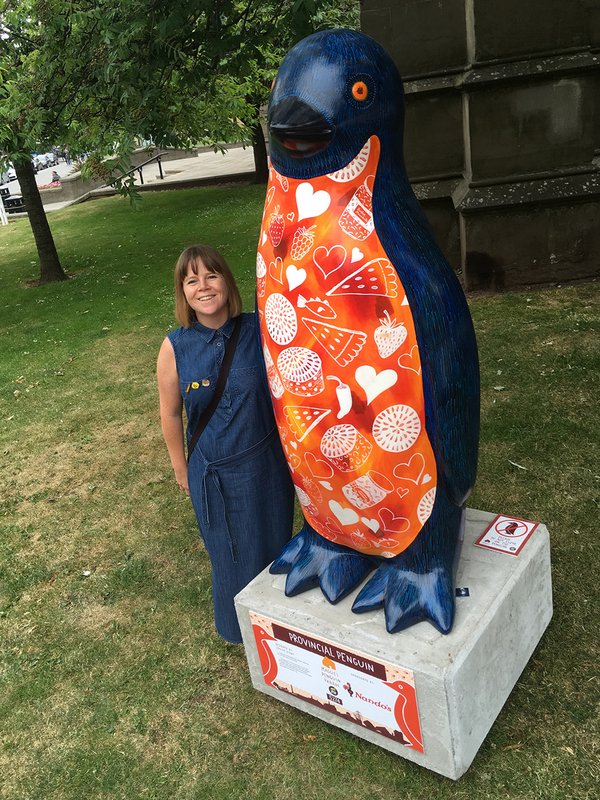 It’s great to be part of the trail of 80 penguins to find in Dundee and surrounding areas and the money raised is for Maggie’s Dundee. You can find out more about it here. 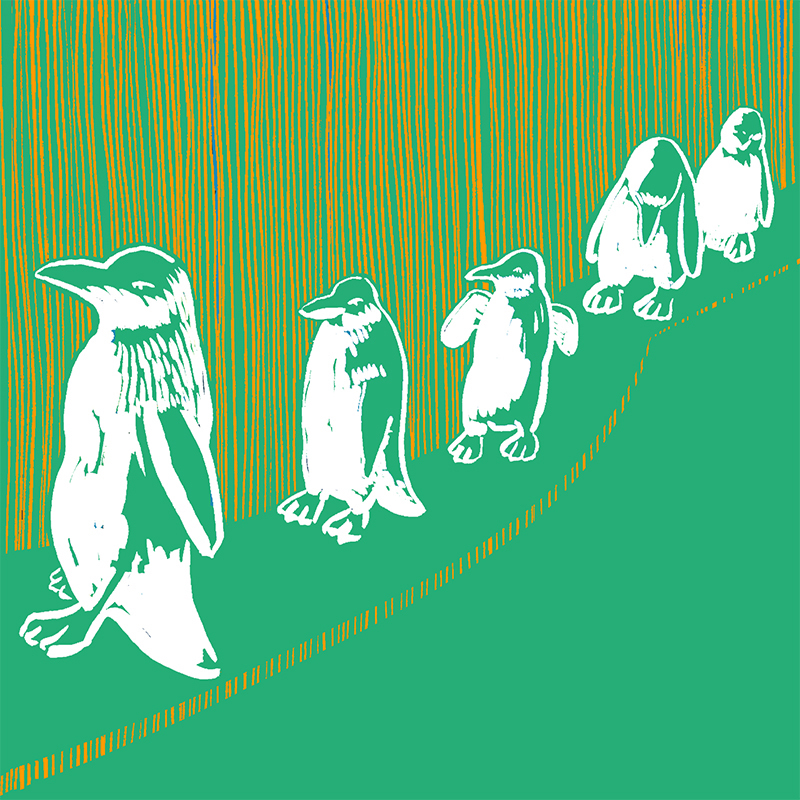 Provincial Penguin is inspired by the delicious visitors’ offering for tourists visiting the area. 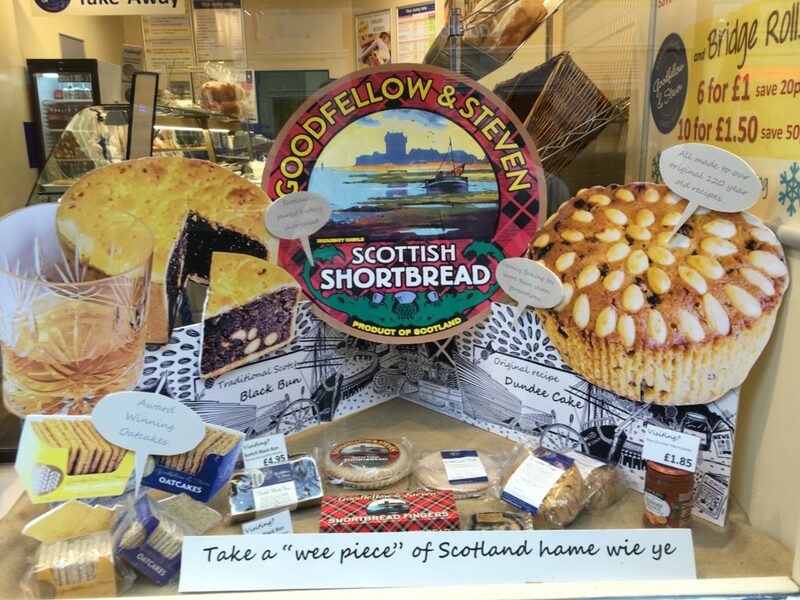 Filling its tummy up with local produce such as Dundee marmalade, Dundee cake, strawberries, shortbread, salmon and fresh fish. You may even find something from a hotter climate on it’s tummy inspired by my sponsor. Big thanks to Nandos Dundee for picking my penguin design. 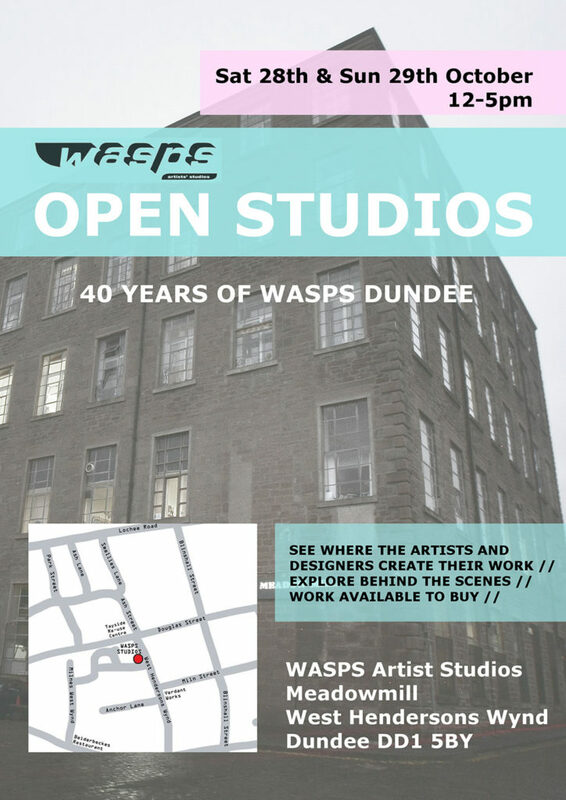 I would like to invite you to the WASPS Designers + Artists Summer Sale, on Sunday 27th May 2018 from 12noon – 5pm at Wasps Meadow Mill, West Hendersons Wynd, Dundee, DD1 5BY. 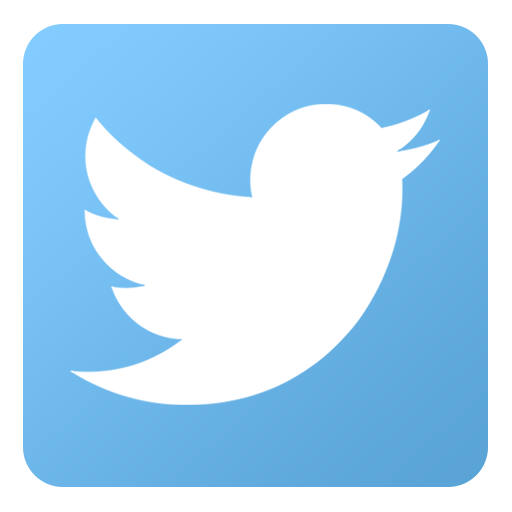 During the month of January I took part in Fun A Day, where you do something fun every day. I wanted to explore and play with an idea with no defined outcome to see where it takes me. Adapting the ‘Five Currant Buns’ nursery rhyme as a starting point. 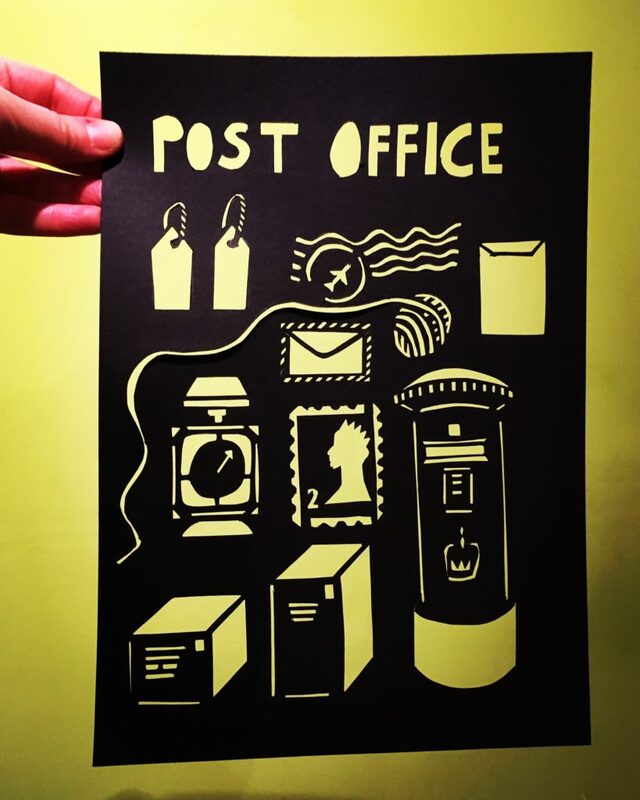 I went on a journey and did some sketches of bakers shops, ink drawings, illustrations, patterns and then focused on creating a range of paper cuts of local shop fronts and all cool things they sell. I love local independent shops on the high street. 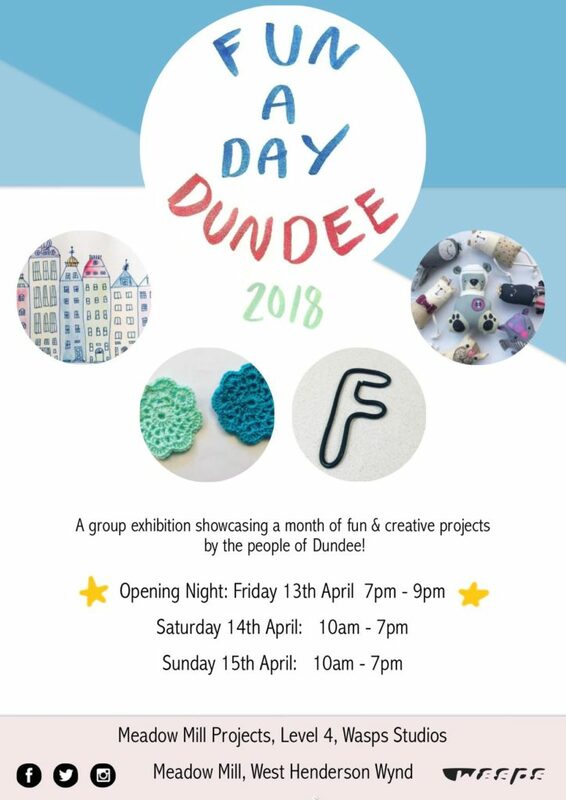 The exhibition opens on Friday 13th April at 7pm, and is on over the Saturday and Sunday from 10am – 7pm at Gallery space, 4th floor, WASPS Studios, Meadow Mill, Dundee, DD1 5BY. The exhibition will have an eclectic mix of projects that happened in January. 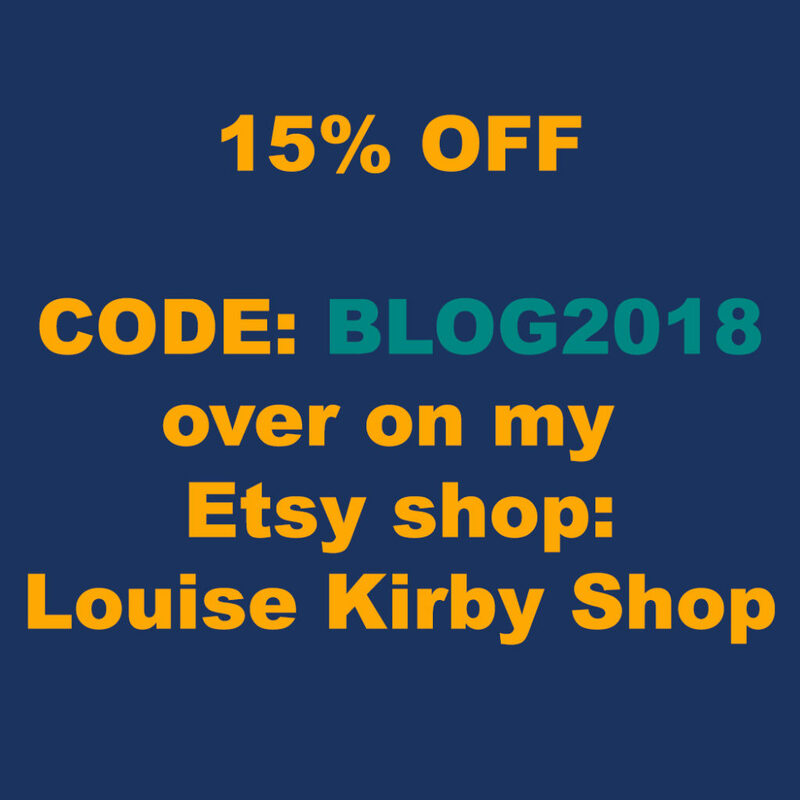 Some of my pieces will be for sale, please contact me directly hello@louisekirby.com or call/text 07841423335. 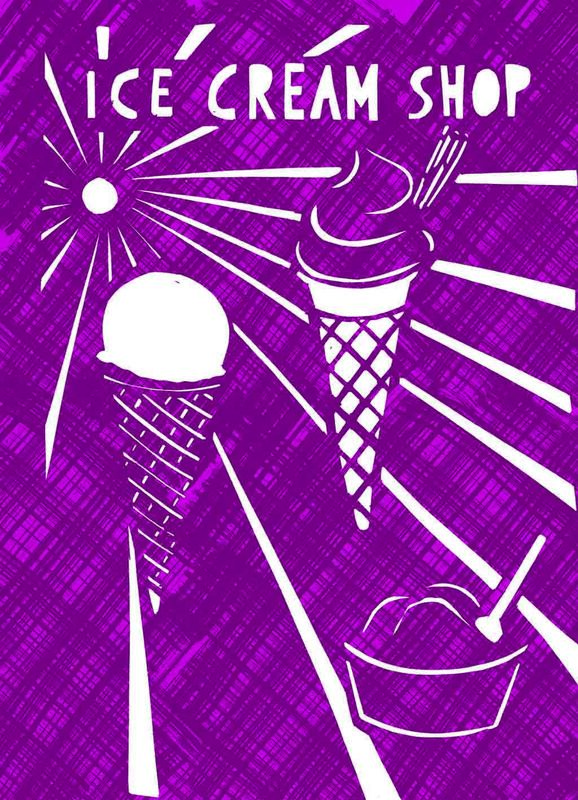 Louise Kirby Dundee Delights greetings cards celebrate some of the delicious delicacies and iconic places in and around Dundee. 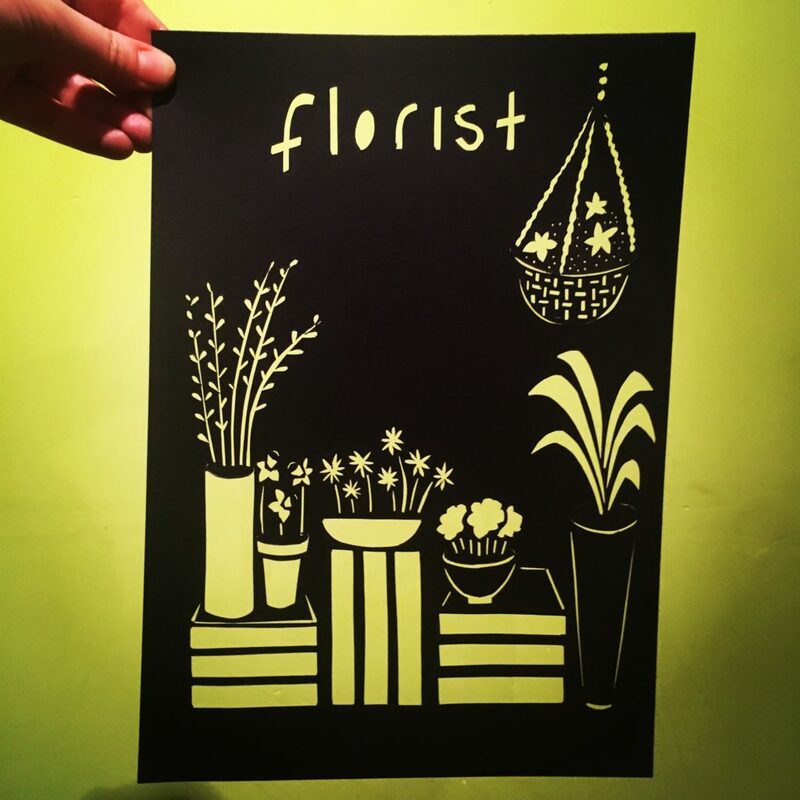 Her designs have a fresh approach to the city whilst retaining the hand drawn qualities. The new collection will include Dundee Marmalade, The Wellgate Clock, V&A Dundee from the Tay Bridge, Magdalen Green Bandstand and Sunny Dundee image. Previous designs include Broughty Ferry Beach + Castle, The Dundee Penguins, Dundee cakes, Frank Gehry’s Maggies Centre, Dundee Contemporary Arts and The McManus. This collection is in the World Favourite Colour of Marrs Green and sunshine yellow to capture the positive direction the city is heading. I have started to look back at 2017, I’m pretty chuffed at what I have achieved! Here are some of the highlights. The biggest accolade of the year was representing Dundee in Puebla, Mexico. 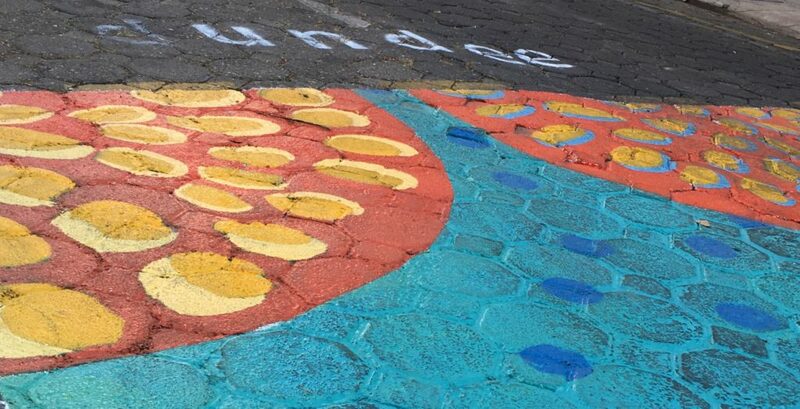 Since Dundee is a UNECSO City of Design city my design was used to create a pedestrian crossing. 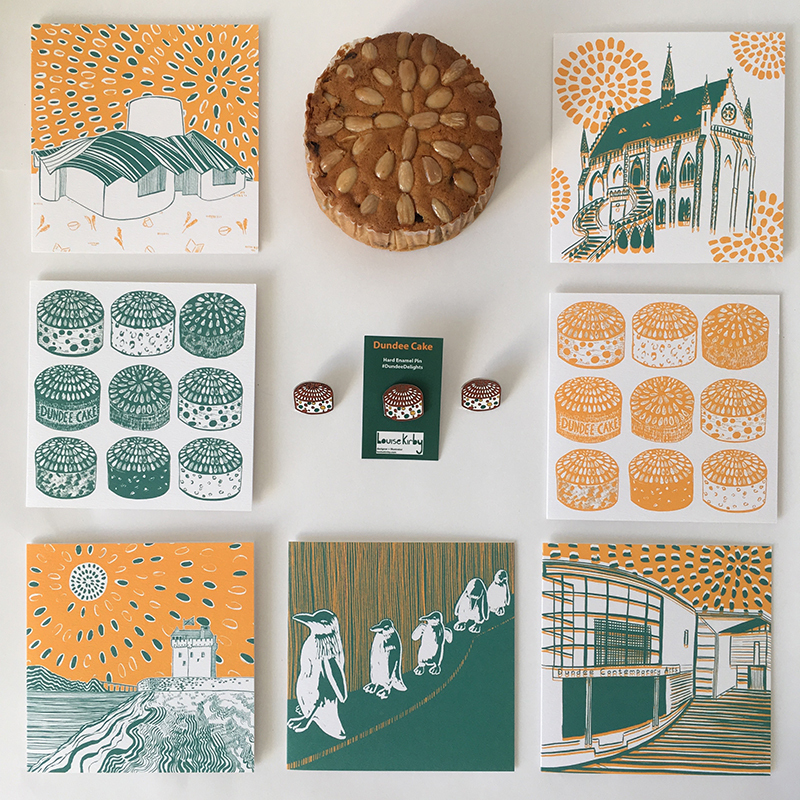 My design was inspired from my Dundee Delights collection, that includes Dundee Cake and Sunny Dundee imagery, using the worlds favourite colour of Marrs green to capture the river Tay. The project was to highlight and improve road safety for pedestrians. I would love to see this happen in Dundee or other places! Great to see my artwork applied at giant scale. It makes me wonder, what else could my artwork be applied to? Any ideas let me know. 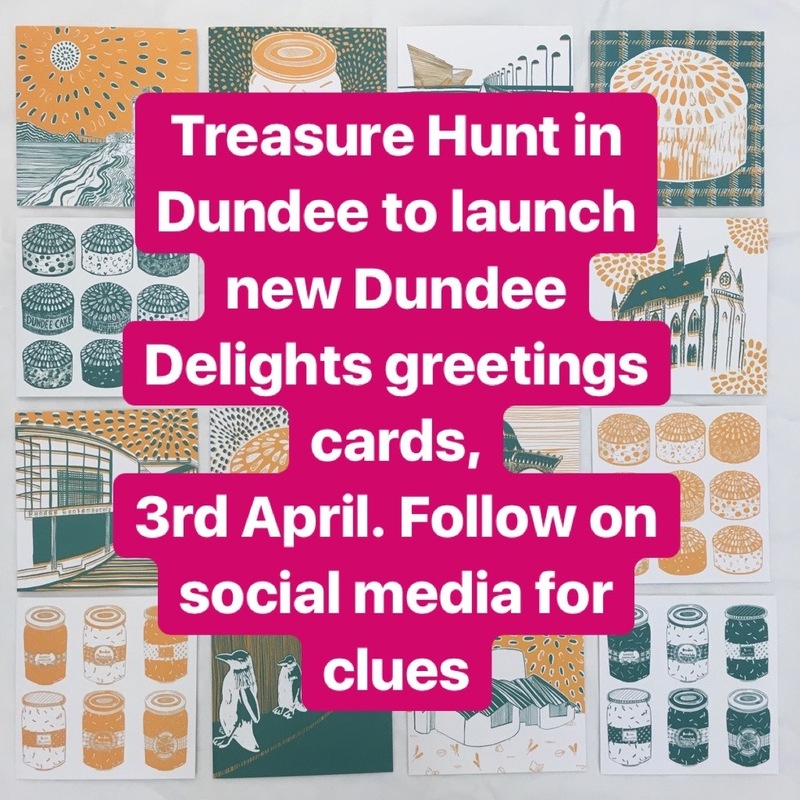 On the 13th October I launched the Dundee Delights collection of greetings cards with clues on social media to find them round the city. 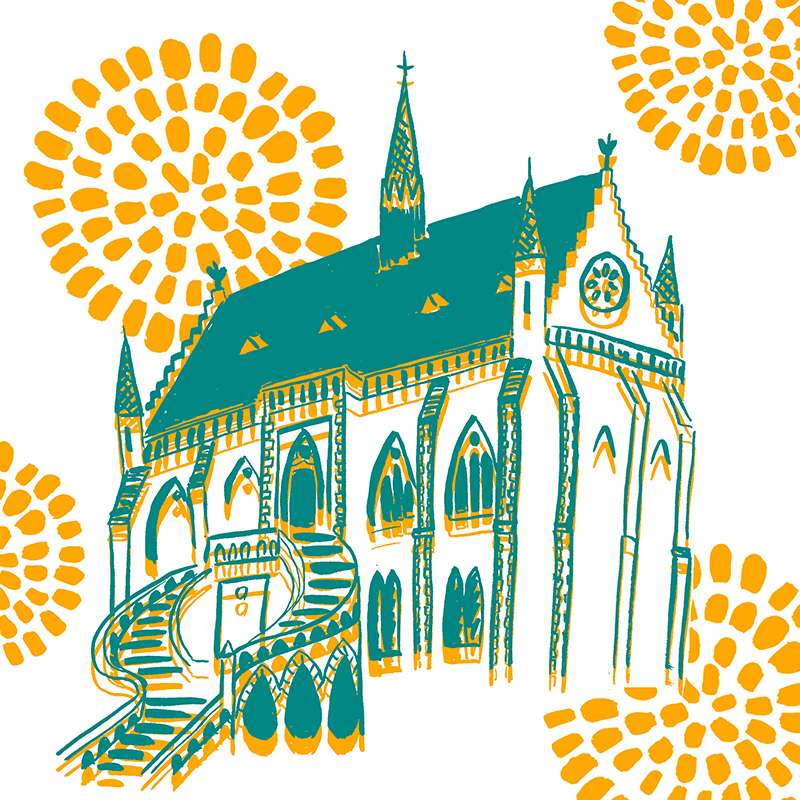 The collection is a range of greetings cards with positive images of Dundee for people to share. It was great hearing where some of the cards ended up and one travelled over 4000 miles to Florida. If you have any more stories of my work reaching other corners of the earth, please let me know. An enamel Dundee Cake pin ideal for people who love cake, love Dundee or love Dundee cake! Dundee Penguins in Woolly hats + scarves Christmas cards. 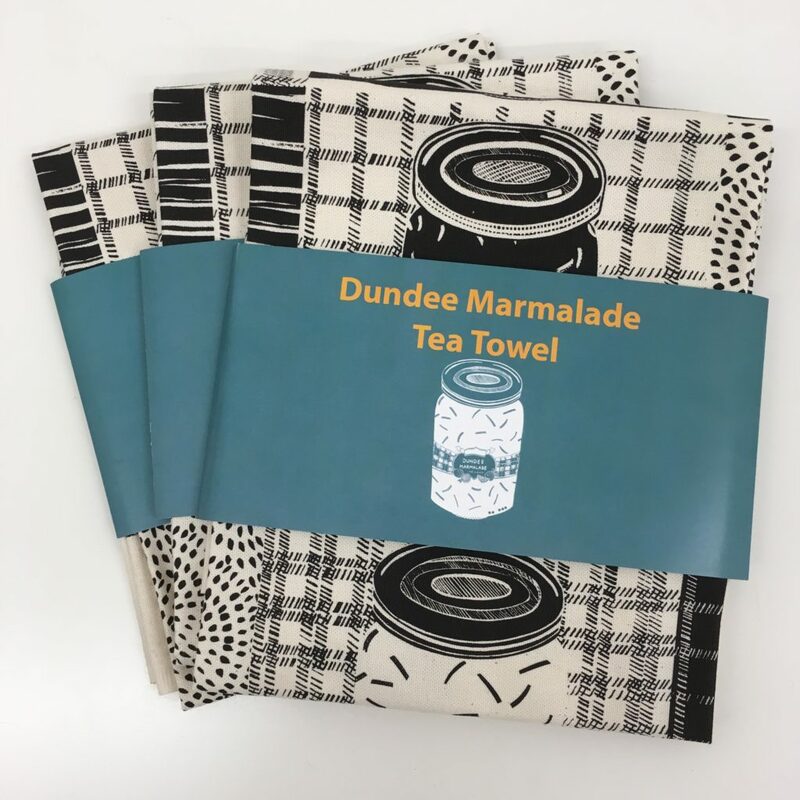 Dundee Cake + Dundee Marmalade Tea Towels, which were popular as Christmas gifts. Locally you can buy my work from The McManus Galleries shop, VisitScotland in the city square, Dundee Contemporary Arts shop and Pretty Fly in Broughty Ferry. 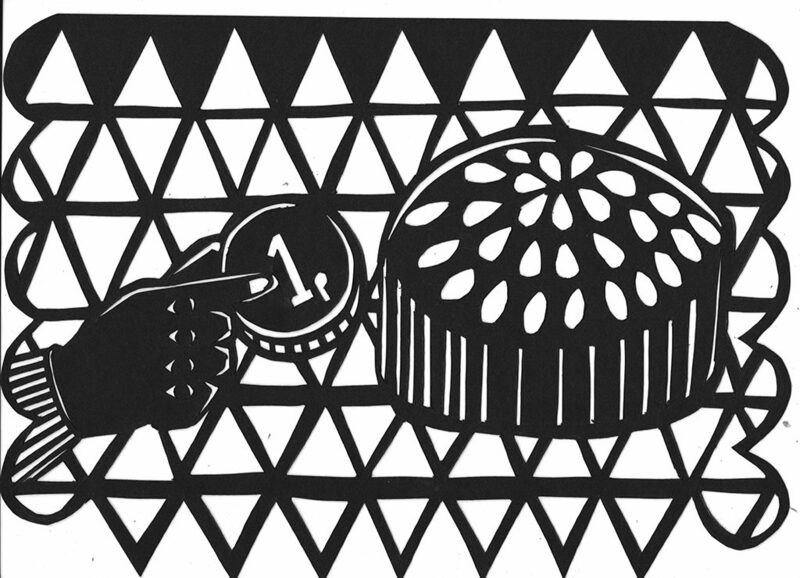 You may have also spotted my black + white illustration in Goodfellow & Stevens window. 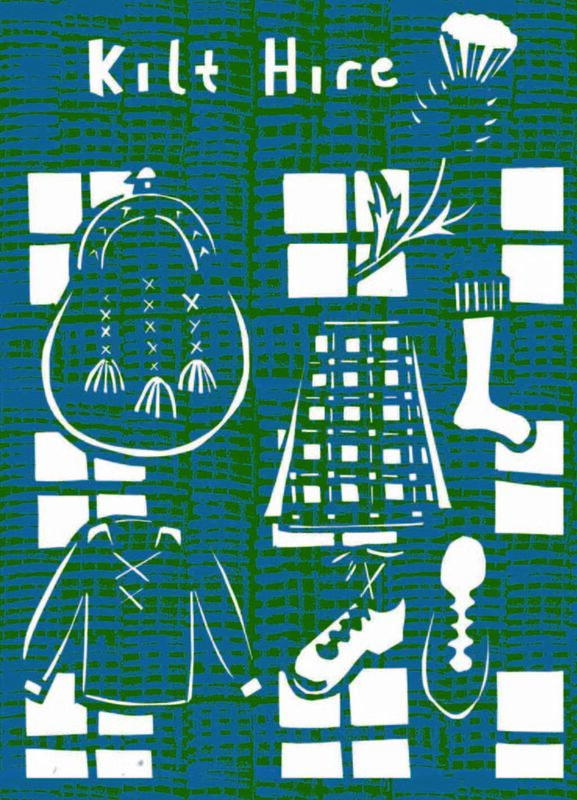 The design includes V&A Dundee, The McManus: Dundee’s Art Gallery & Museum, DCA, RRS Discovery, marmalade, Dundee cakes, comics, rail bridge, thistles and a touch of tartan and of course Dundee Cake sky! 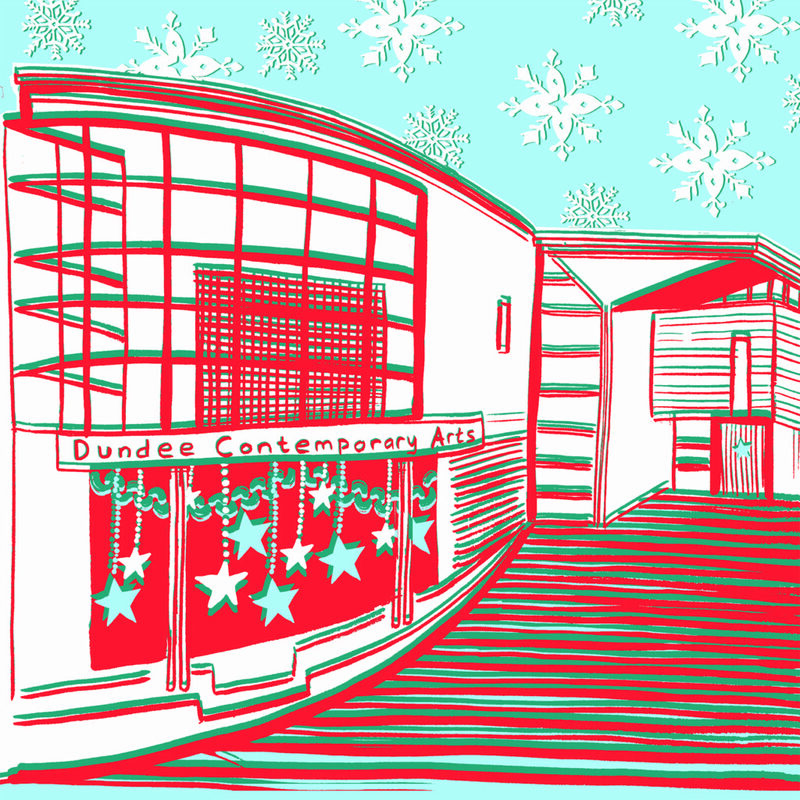 On the run up to Christmas I did a festive commissions for the DCA adapting my Dundee Delight image of the DCA with some festive elements and colours. 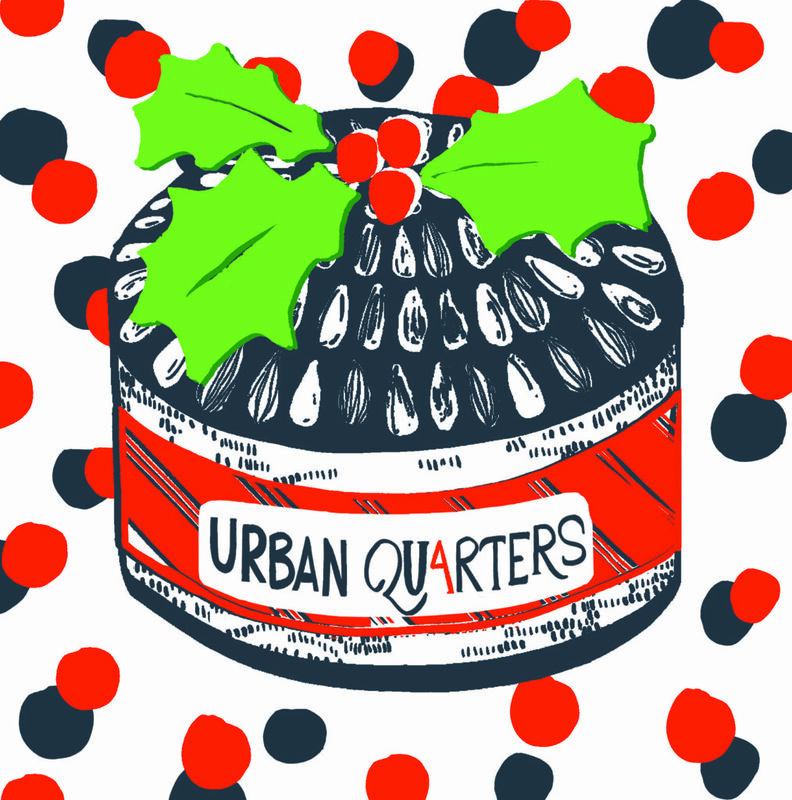 I created the Urban Quarter festive graphic that included my Dundee Cake with oversized holly, hand written logo, funky polka dots all in their branding colours to fit with their unique style. They are lovely styish serviced apartments in the heart of Dundee, you can check them out here. So with all that looking back it helps me plan for the future to know what BIG and small steps I want to take forward, here is a peek into some of my plans so far. In January I will be launching a 2 minute promotional video about the process of my work created by Son of the Sea Film & Video. In February I will launch more designs for the Dundee Delights collection that will include the Dundee Marmalade and the classic Wellgate Clock. 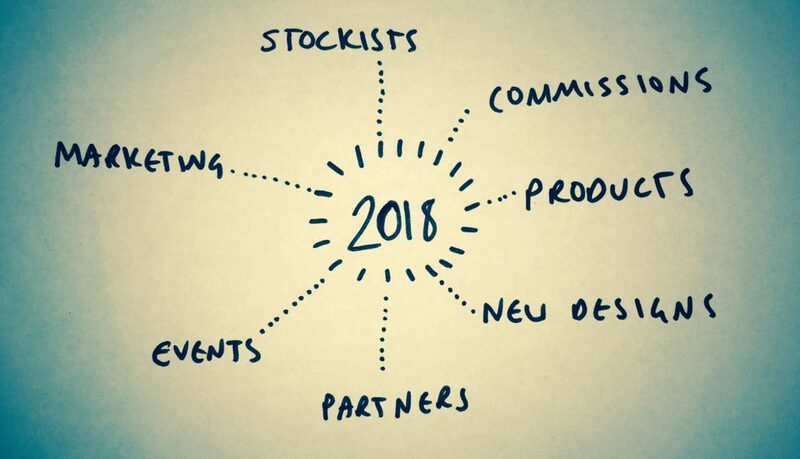 If there is partners or collaborators you think I should be working with, stockist I should be supplying, products you would like to see my work on or commissions you would like to see me do please let me know by dropping me an email hello@louisekirby.com or via my social media this will all feed into my future planning. I would like to thank you for follow me, cheering me on, liking, commenting and sharing my social media posts, coming along to the markets and open studios or buying my products. It all adds to keeping me motivated and allowing me to continue to do what I love. With Christmas approaching I’m taking part in a few events locally. This year for Christmas presents I am going to buy local so if you fancy supporting local businesses, designers, makers and artists I would like to invite you to these 3 events. 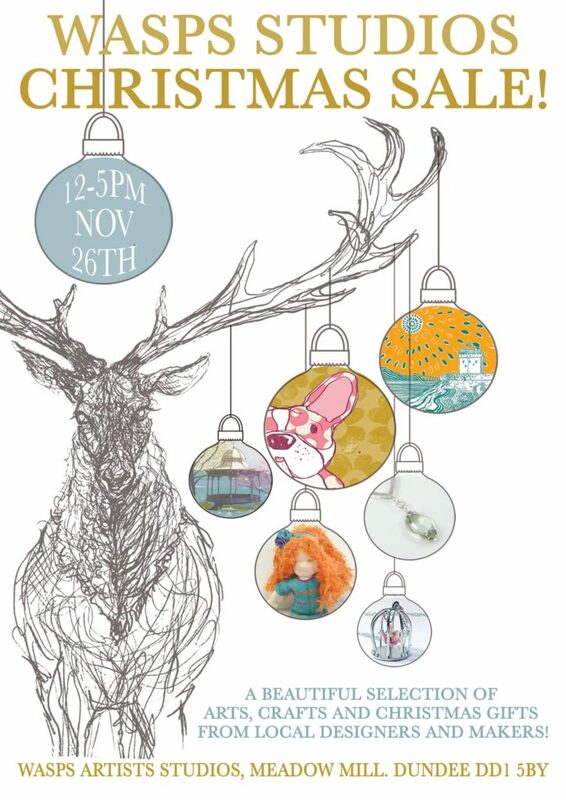 Each event has very different makers & local businesses so pop along and say hello! 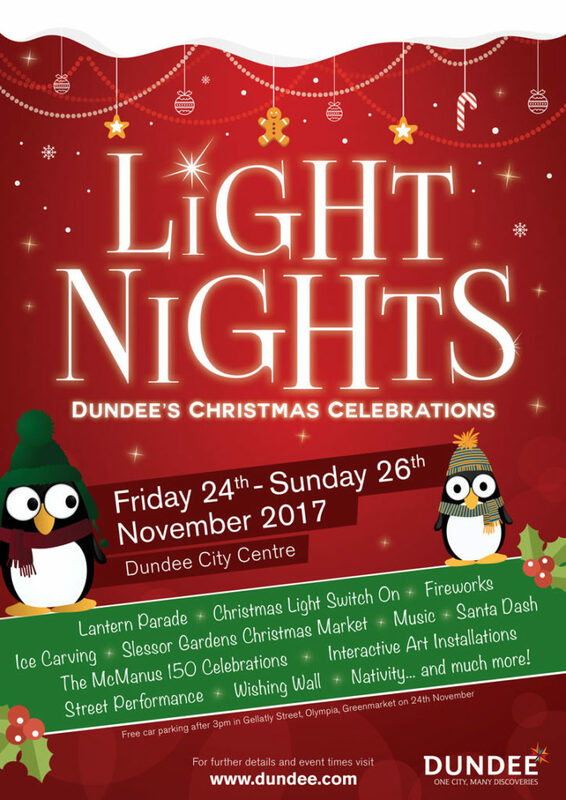 FRIDAY 24TH NOVEMBER ( 4pm – 9pm ) + SATURDAY 25TH NOVEMBER (from 12noon – 6pm) – POP UP CHRISTMAS MARKET AT SLESSOR GARDENS – Come along and enjoy a lots of stalls from local businesses with products and tasty treats and I hear there is going to be some ice sculpture too. I will be launching my new Dundee Marmalade tea towel at this event. Come and say hello! At each event I will have my Dundee Delight greetings cards, Christmas cards, Dundee Cake & Dundee Marmalade tea towels and Dundee Cake enamel pins. I hope to see you there! 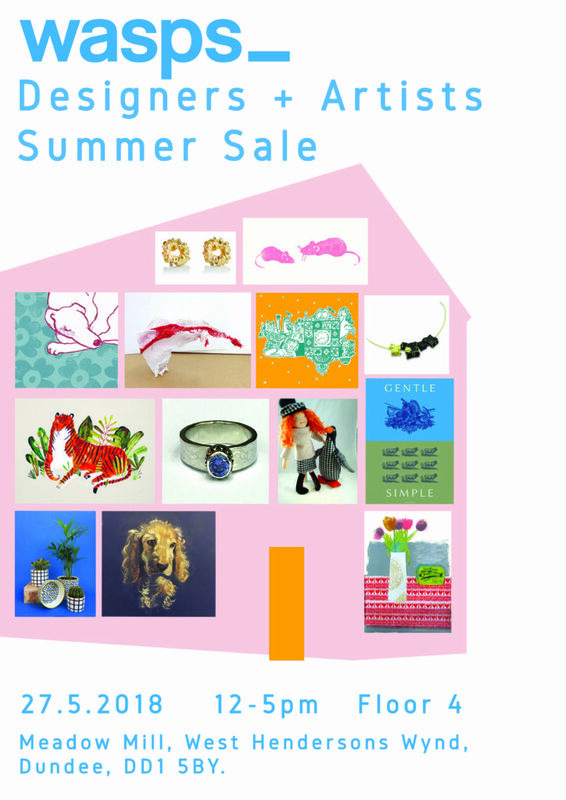 If you can’t make these events you can also buy my work online in my shop. 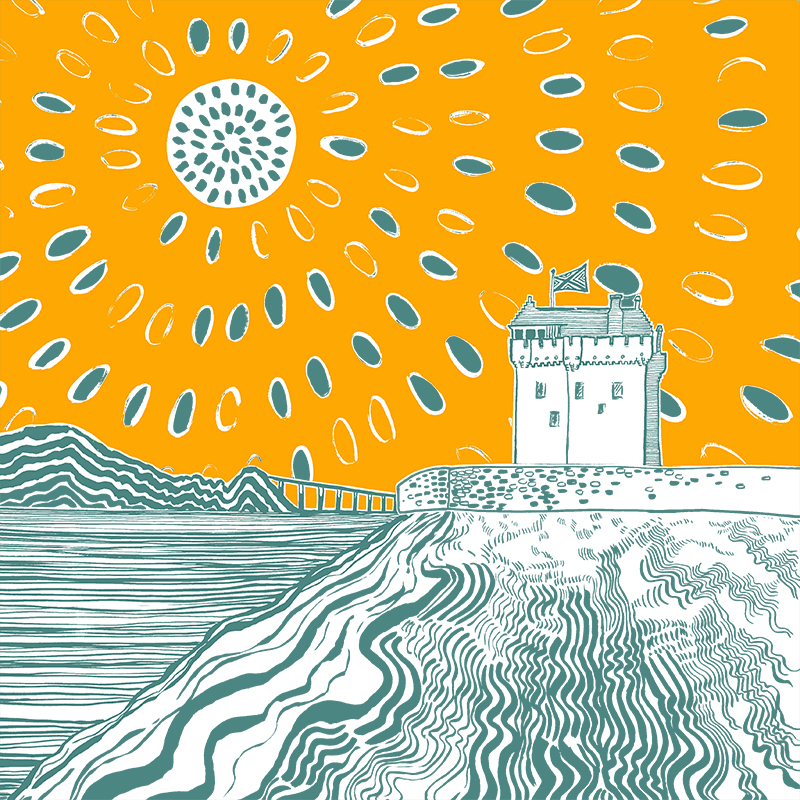 Dundee Delights is a new illustrated greeting cards collection by designer and illustrator Louise Kirby. Launching on Friday 13th October by giving a fresh and positive image of the city. 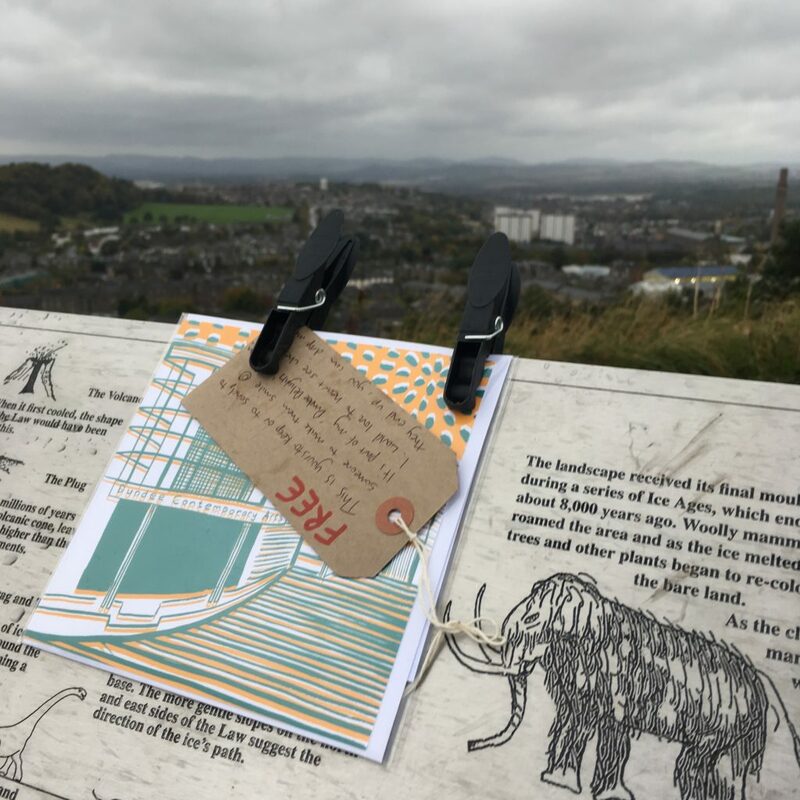 Louise will place free cards around the city hoping that the finders will send them to friends and family locally and to the far corners of the globe. Louise would love to hear of where they end up be it an Aunty in Australia who loved days at the ferry beach as a child, an old school or university friend in another city that you want to hello to, or invite your granny in Lochee for a coffee and cake. 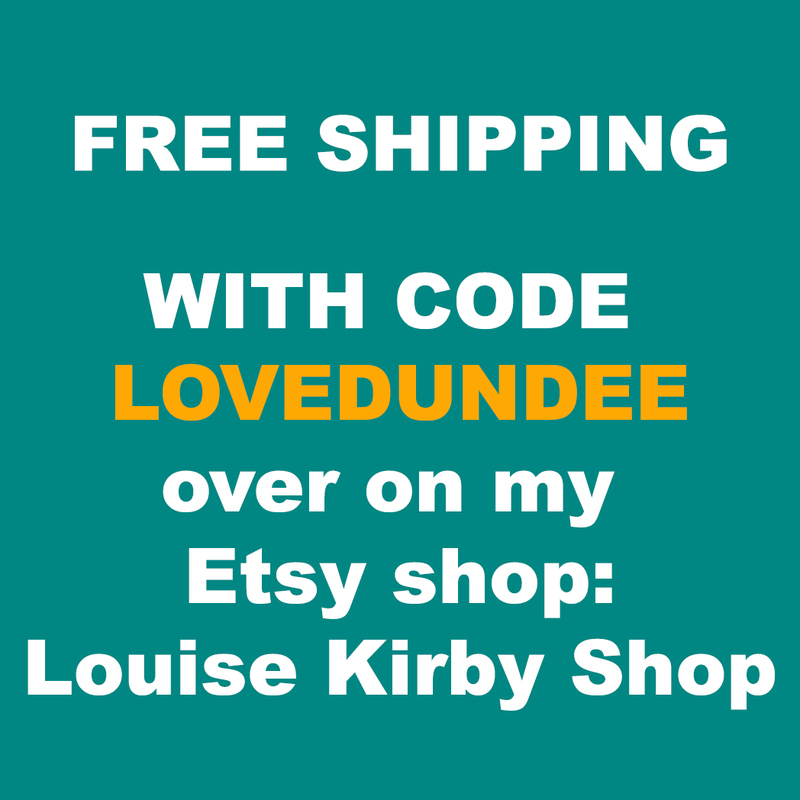 To share where they end up either email Louise Kirby on hello@louisekirby.com or #DundeeDelights on Facebook, Twitter or Instagram. 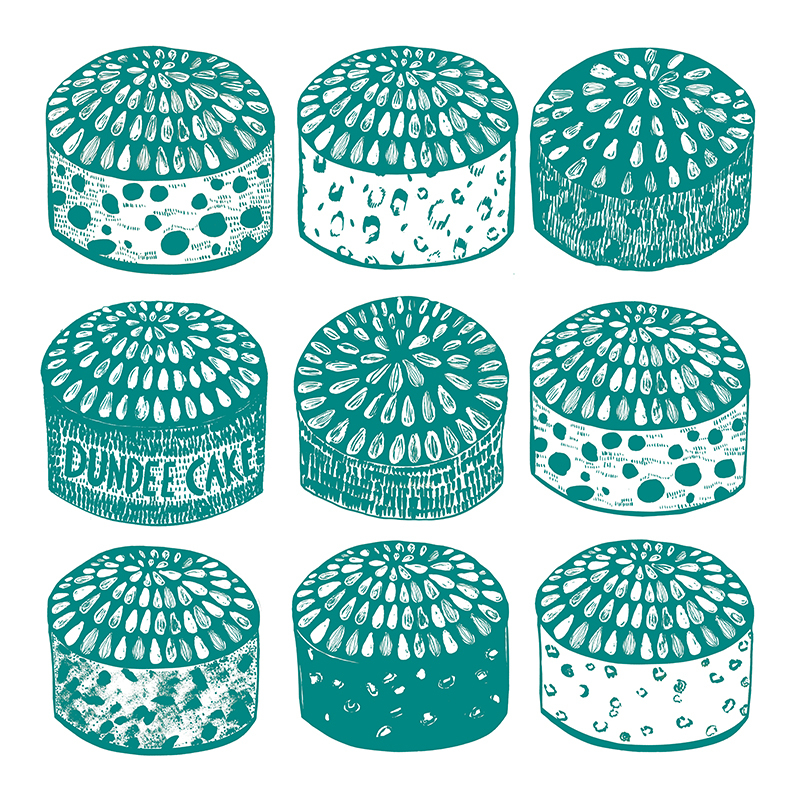 Louise Kirby Dundee Delights greetings cards celebrate some of the delicious delicacies and iconic places in and around Dundee. 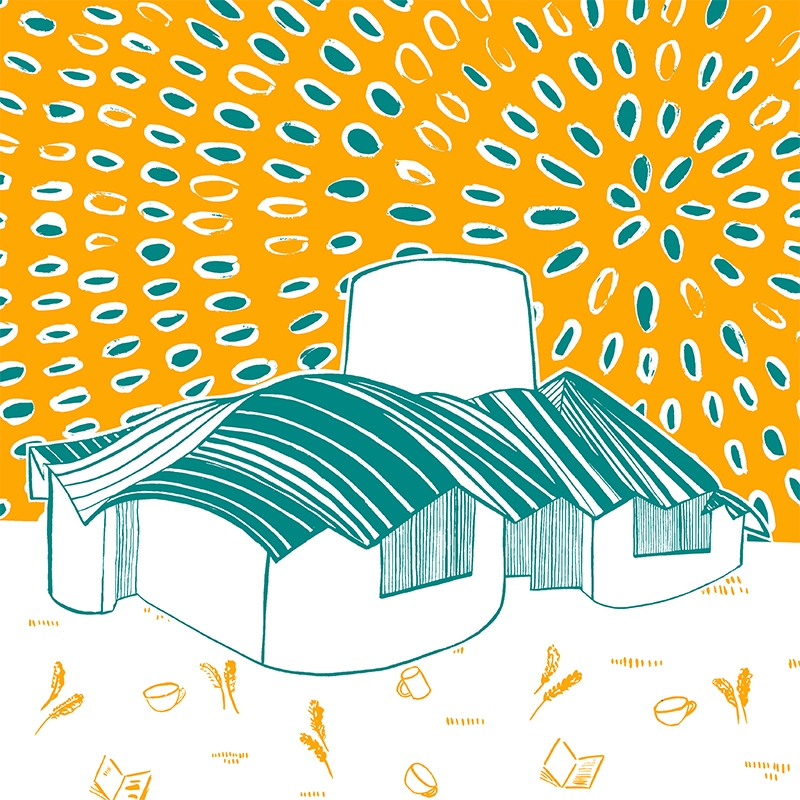 Her designs have a fresh approach to the city whilst retaining the hand drawn qualities. Designs include Broughty Ferry Beach + Castle, The Dundee Penguins, Dundee cakes, Frank Gehry’s Maggies Centre, Dundee Contemporary Arts and The McManus. This collection is in the World Favourite Colour of Marrs Green and sunshine yellow to capture the positive direction the city is heading. Dundee, the UK’s only UNESCO City of Design. The Dundee Delights collection is available to buy from her Etsy online shop, the Dundee Contemporary Art shop, Pretty Fly in Broughty Ferry and coming soon to Visit Scotland (located in the city square) and directly from Louise Kirby at the WASPS Open Studios on 28th & 29th October 2017, Makers for Maggies on 2nd December 2017. Patterned sand looking over to Broughty Ferry castle with a happy sun shiny Dundee cake sky, evoking memories of days at the beach. The characterful 5 bronze penguins by sculptor Angela Hunter that make people smile as they walk past and sometimes they have been known to adorn clothes and hats. Local delicacy of the Dundee Cake, with the lovely pattern of the almonds on top. Maggies Centre designed by world renowned architect Frank Gehry here in the city which I believe is evidence of how good design changes peoples’ lives providing a place of calm, support, nurture and tranquility created within a purposeful space. Externally, I enjoy the shape and movement of the roof which I feel echoes the local landscape. Creative and cultural hub in Dundee with the curved face of different surfaces which is invites you in to the space which houses 2 cinemas, print studio, galleries and a bar and a restaurant. Dundee’s art gallery and museum in the fantastic gothic revival architecture, I love dramatic staircase and the detail in the architecture. So many stories lye within this building I particularly love the ceramics, Dundee and the World exhibitions and the Tay whale. 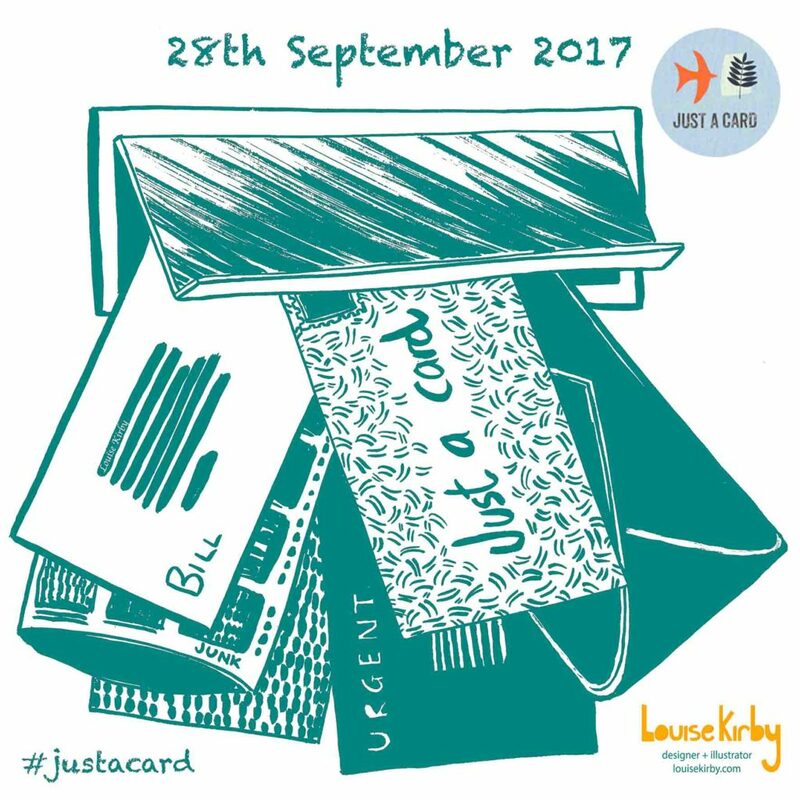 Hello, I’d to let you know about Just a Card day, happening today Thursday 28th September 2017. The Just A Card campaign is to encourage everyone to support small businesses, designers, makers, independent shops + galleries to buy something small from them – just a card, or anything little – because every sale, however small, makes a BIG difference to a small business. 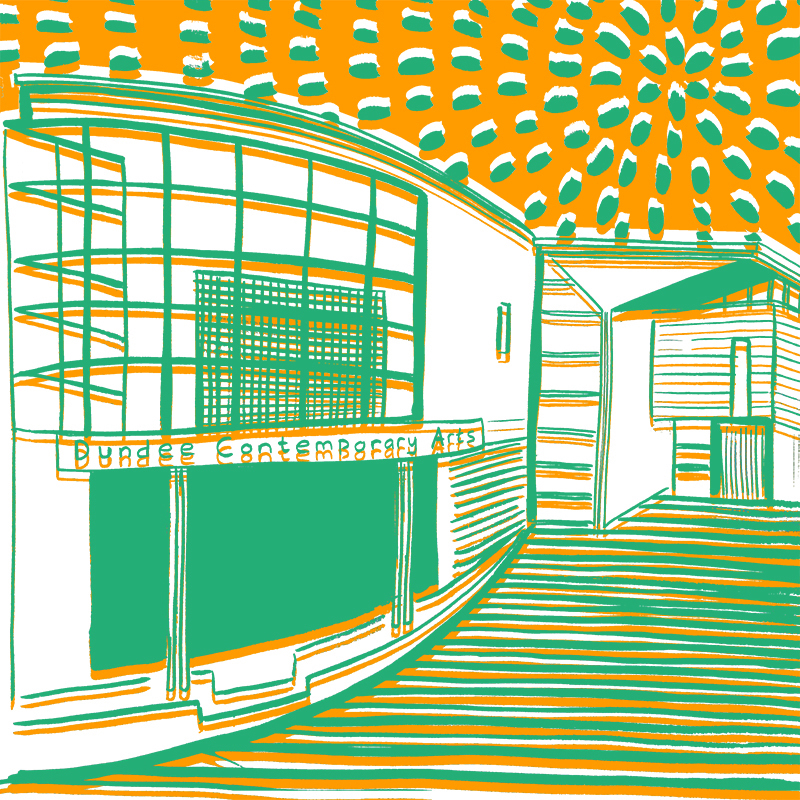 Sarah Hamilton started the campaign, after seeing this quote from the owners of a recently closed gallery: “If everyone who had complimented our beautiful gallery had bought ‘just a card’, we’d still be open”. You can read more about the campaign here. I think it’s important to say ‘hello’ and keep in touch rather than just texting or emailing. I believe that a card really makes someone’s day and beats the bills and junk mail coming through the letterbox. I did the illustration above to depict this! When you buy just a card, from me whatever time of the year, you really are making a BIG difference. 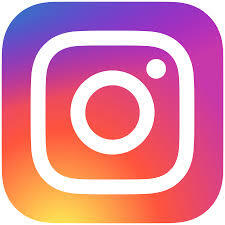 You can follow me on twitter, Facebook or instagram.